The race one pole-winner's fastest lap of 1m 42.135s in second qualifying left him 0.159s shy of Alexander Albon who topped the timesheet with a 1m 41,976s lap. The Signature driver will share the front row of the grid for Saturday afternoon's race two with Dennis's Prema team-mate Felix Rosenqvist who missed out on the top spot by 0.027s. 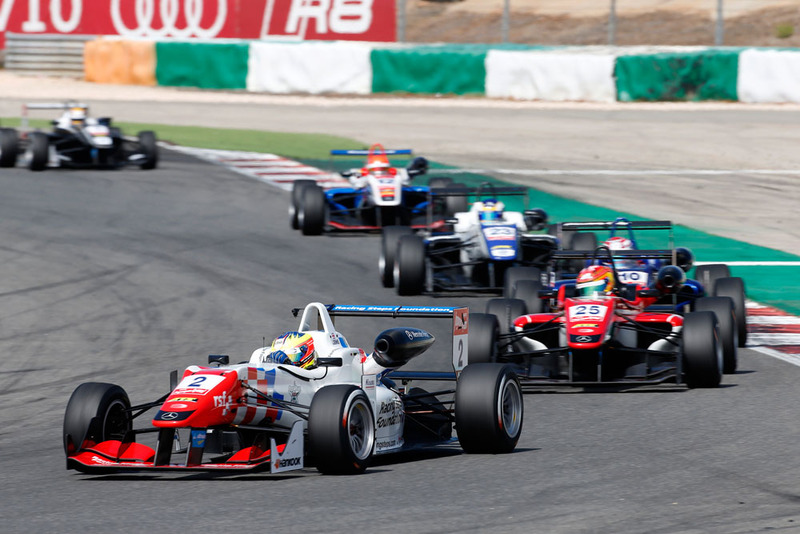 Fellow Prema drivers Nick Cassidy and Lance Stroll qualified third and fourth to lock out the second row. On second fastest times - which determine the grid for Sunday's race three - Rosenqvist landed pole ahead of team-mates Stroll and Dennis. "We had to make a strategy call on whether to run two sets of new tyres or one. I opted to use only the one set of which we worked out cost me somewhere around a tenth of a second. "So considering I missed out on pole by just over a tenth it wasn't such a bad session for me. The good thing is, I have a full set of new tyres for the races unlike a lot of the other drivers."